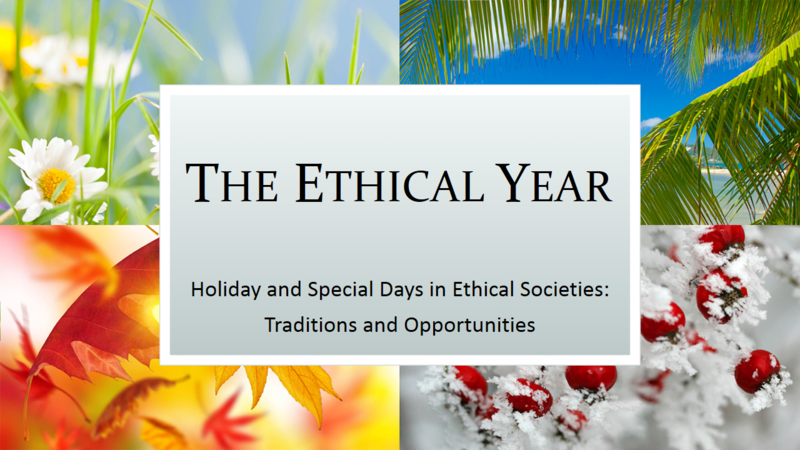 A presentation to help brainstorm what events the Society might celebrate through the Ethical Year. Also: a Google calendar of special dates. Use in conjunction with other public Google calendars to add US holidays, Christian holidays, Jewish holidays, Muslim holidays, Orthodox holidays, and perhaps some others like Holidays in Mexico and Holidays in Canada. You may also want to include Phases of the Moon and week numbers. 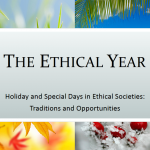 First version below: Just the “Ethical Holidays.” Second version: other holidays included.